(Music Sales America). 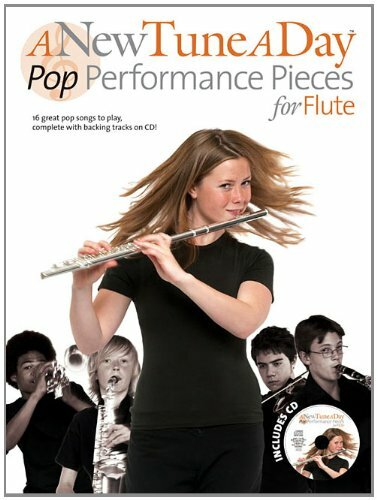 An inspiring collection of pop songs, clearly presented with a play-along CD for the advanced beginner. These pieces have been chosen and arranged to build a repertoire of pop songs for performance and for fun, and include classic hits from the Beatles and Michael Jackson to contemporary songs by Coldplay, Rihanna and Taylor Swift. Complete with chord symbols for accompaniment on piano, keyboard or guitar, this volume is the perfect companion to A New Tune a Day for Flute . Songs include: Bad Romance * Brown Eyed Girl * Candle in the Wind * Dancing Queen * Imagine * Take a Bow * Viva la Vida * Someone like You * Man in the Mirror * I Believe I Can Fly * Hallelujah. 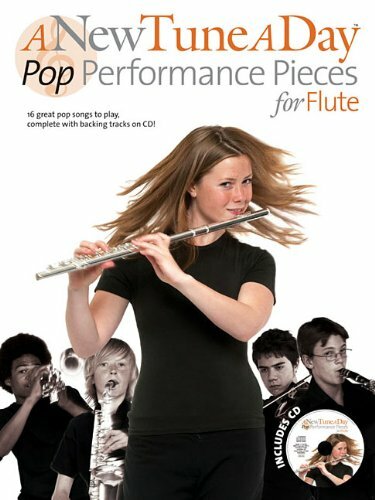 A New Tune A Day: Pop Performance Pieces For Flute provides an inspiring collection of pop songs, clearly presented with playalong CD for the advanced beginner. These pieces have been chosen and arranged to build a repertoire of pop songs for performance and for fun, and include classic hits from The Beatles and Michael Jackson through to contemporary songs by Coldplay, Rihanna and Taylor Swift. Complete with chord symbols for accompaniment on Piano, Keyboard or Guitar, this volume is the perfect companion to A New Tune A Day For Flute.